Once you become a self-proclaimed addict of beauty, there are a few things you definitely need to have in your collection to really fit the bill. 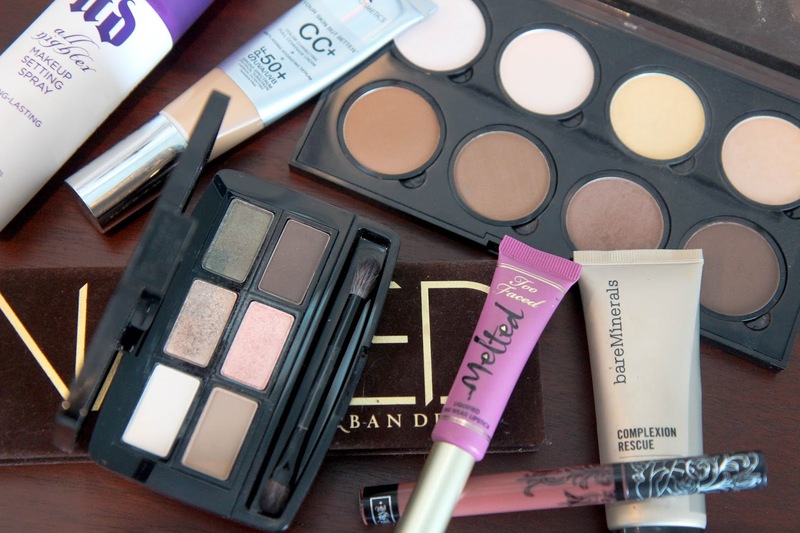 A good neutral palette seems kind of like a no brainer, but any addict knows the importance of a catch-all palette that's dependable and easy to take on trips. The first Urban Decay Naked Palette is my usual go-to, but I'm also a huge fan of the ButterLondon "Natural Charm" ShadowClutch if I'm looking for something a bit smaller. Both have a great range of shades that work get together or just on their own if you're in a hurry. Contours to step up your whole makeup game. I felt like I was stepping into the big leagues when I picked up the NYX Contour Palette. If you're addicted to makeup and haven't given contouring a go, you definitely need to muster up the courage and blend like crazy. Just a little bit of product on an angled brush in the hallows of my cheeks works for me. Liquid lipsticks to get you out of your regular lipstick rut. There's always something fun and not-so-scary about venturing past regular lipsticks and testing out different options. The Too Faced Liquid Lipsticks and the Kat Von D Everlasting Liquid Lipsticks are great options if you're looking for a seriously impressive color range and intense pigmentation. Setting sprays seem like one of those nonsense products until you've actually tried one. I swear by the Urban Decay All Nighter Setting Spray and really need to pick up another travel size because I feel silly lugging this bad boy around on trips (doesn't mean I don't do it still). Only makeup addicts would faff with yet another step to their makeup routine, but setting sprays make all the difference. My makeup lasts longer and looks more seamless with just a few spritzes. What products do you think every makeup addict needs?